The last hurrah of 2016 Hammer Chess took place last night at Lytton Hall. Twenty-one souls turned up to enjoy a night of fighting, no quarter given, 10-minute blitz chess! 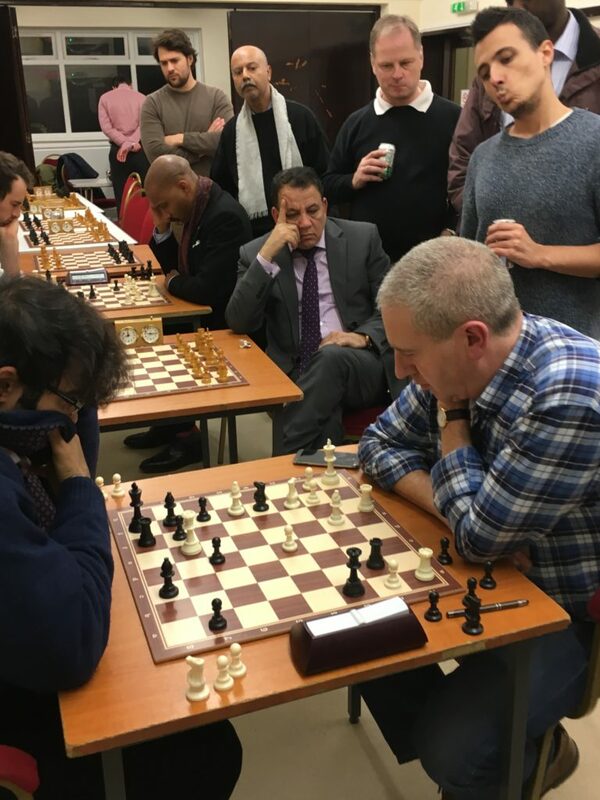 The cream of Hammer Chess: Tony, Carsten, Bajrush, Paul, Sheikh amongst many other Hammer stalwarts turned up to take on one and all. There were new faces present – Iqbal, Ayman, and Ibrahim from Café Nero and three potential new members Josue, James and Ken. All dreaming of taking the prize of Hammer Christmas Blitz Champion and securing points in the race to be overall Hammer Blitz champion 2016-2017. 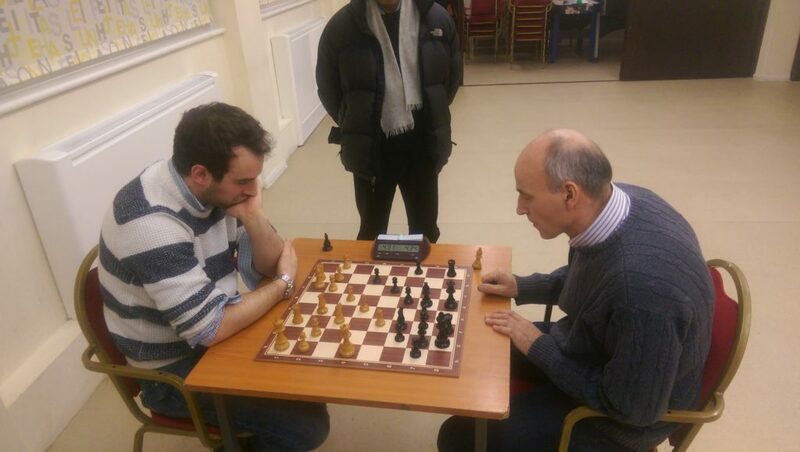 What followed was a night of high quality blitz chess played at times with breathtaking speed! The first round saw four groups in an all-play-all double-header arrangement, with the top two from each group going forward to the knock-out stage (a bit like the World Cup, in a way…). The usual Hammer suspects in the form of Tony, Carsten and Bajrush, not with some slight hiccups along the way, secured their passage. They were joined by Sheikh after a three-player playoff. The rest of the qualifiers were made up of the Café Nero trio of Ayman, Zafar and Ibrahim. This left one place to fill to complete our quarter-final lineup. Displaying great composure and good chess, Josue triumphed to secure the last place. The quarter-finals saw Carsten, Ibrahim, Sheikh and Josue bite the dust. The semi-finals were gripping affairs with Bajrush beating Ayman in a truly amazing game with both players on the edge for most of the game. In the end, Hammer’s wily old fox held it together and secured the win. You can smell the tension!! In the other semi-final Tony won a two-minute playoff after two closely contested drawn games. This was a case of experience and nerves winning the day or night! The final between the two was a nail-biting affair with Tony – material down – mounting a huge attack on Bajrush’s King. The pressure told and Toney emerged a Rook up but several pawns down. Game over you would have thought, but those of us who have played Bajrush over the years in blitz know it is never the easy. This was again the case and a tense finish ensued with Tony finally winning by checkmate with seconds left on his clock. It was a great match to watch and Tony emerged as the deserved winner! Some other comments on the evening for your consideration – Great performances form debutants Ken, James and Josue. Hopefully they will all join the club in the New Year. John Ryan and Robin Lee both had solid performances to remember. We welcome Pavel, Tony and Liam as fully paid-up members – Team captains please note they are now available for selection for your teams! The secret of Tony’s success was to step off a plane from Estonia and hare it over to the club to take part. Unbelievable performance in the circumstances! 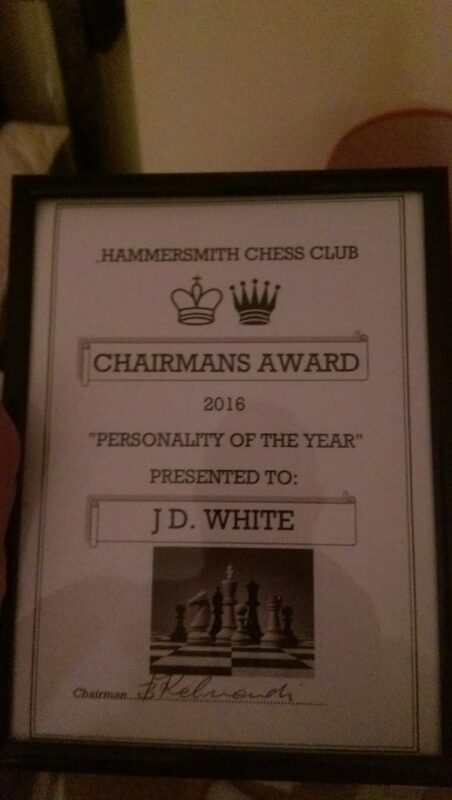 Your correspondent, to his total surprise, was presented with the Hammer (better) version of SPOTY – Hammer personality of the Year! 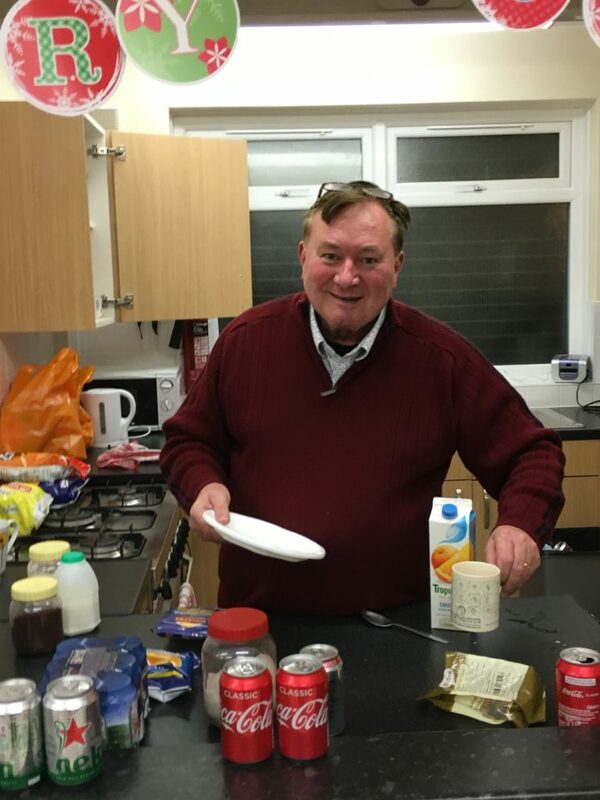 Finally the night was further enhanced by the provision of liquid refreshments (both alcoholic and non-alcoholic) by our Chairman Bajrush with accompanying snacks. Much appreciated by all and a big Thank You to our Wily Old Fox of a Chairman. As they say… That’s all for 2016, folks! Merry Christmas and a Happy New Year to one and all! See you in 2017! Next Next post: Happy New Chess Year!